View the online sale book. View videos of the bulls. 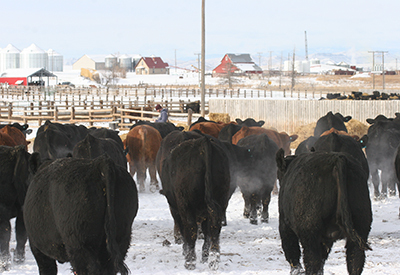 Bulls of the Big Sky was created in 2009 by a small group of Simmental breeders with similar genetics and a vision to combine their efforts and market their animals on a larger scale. Ten years later, we are stronger than ever with outstanding genetics and a reputation of top tier customer service and satisfaction. Visit our newest page with scenes from around the ranches that make up Bulls of the Big Sky. Bulls of the Big Sky is proud to feature the finest premium registered Simmental, SimAngus, and Angus bulls for sale. We partner with 6 breeders to provide customers with the best available selection of SimGenetics. View our individual bulls below or contact us for more information. With seven breeders from the Big Sky region and with over 300 years of combined experience breeding Montana bulls for sale, the families of the Bulls of the Big Sky have joined forces to provide customers with advanced genetic value and outstanding customer service. While we may have a few new names to our membership, their history and involvement in the Simmental world is long and vast. We develop our bulls together at Veltkamp Bull Development in Manhattan, MT starting in early October. They are fed a forage based ration designed to develop the bulls to last and survive the rugged Western environments. Structure, feet, and disposition are regularly scrutinized by non-member panels. Please feel free to stop by and visit the bulls at anytime during the feeding period.